Please don't hesitate to contact us if you have additional questions or concerns! 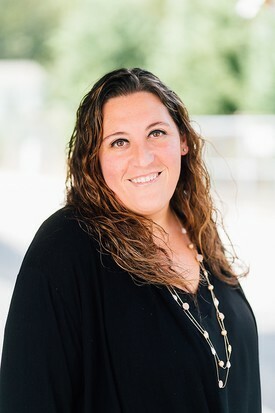 Kristin is the Office Manager and HIPPA Compliance Coordinator at Green Meadows Dental Care. She has an Associates in Science and has worked in the front office of a dental practice for almost 13 years. 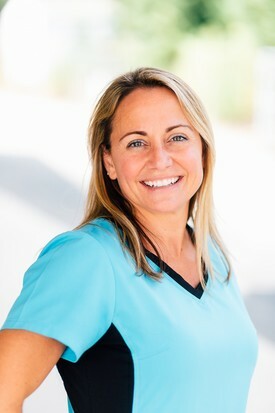 Kristin enjoys communicating and building relationships with patients while helping them understand the financial end of their dental treatment. When she is not working she enjoys spending time with her family and going the beach. 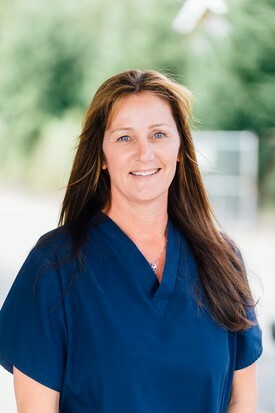 Brooke is the Patient Care Coordinator and OSHA manager at Green Meadows Dental Care. She has lived in Virginia Beach all her life. She has been in the dental field for a little over 13 years. 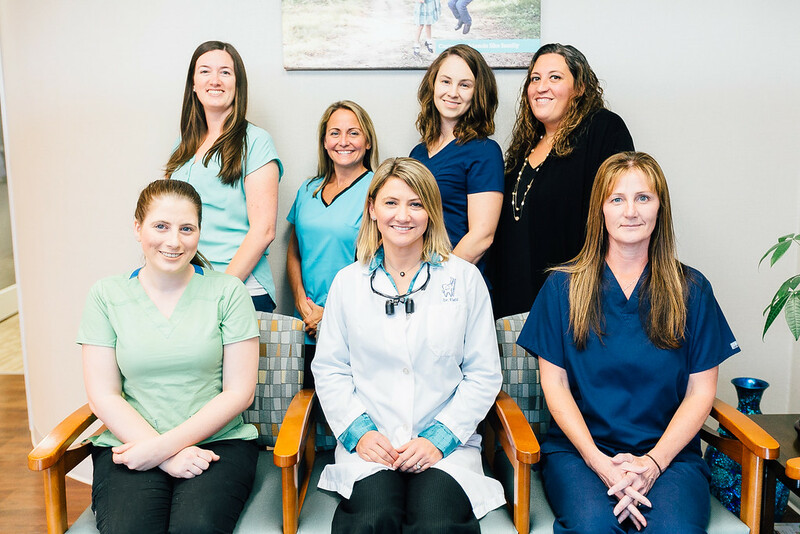 Her warm smile and genuine care of our patients well being embody the leadership of Green Meadows Dental Care. She is currently enrolled at Tidewater Community College where she is finishing her degree in social science. In her free time she enjoys spending time with her family and friends. Denise was raised in the military and unlike most military families; her family never had to relocate. She graduated from Kellam High School in 1995. She continues to reside with her husband and five children in Virginia Beach. She graduated from Old Dominion University’s dental hygiene program with a bachelor’s degree of Science in 2000. 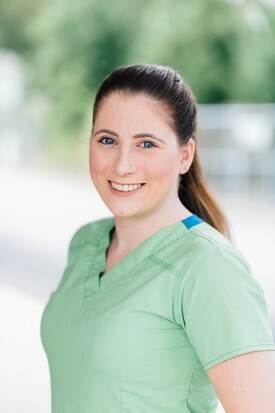 As a dental hygienist, she believes in delivering quality oral health care and implementing a customized care plan by listening to her patient’s overall health concerns and recongnizing their oral health needs. 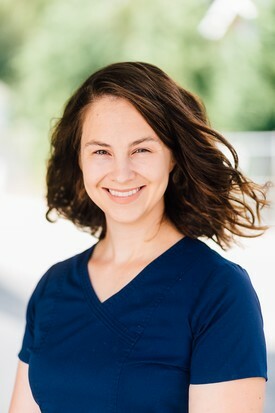 She is passionate about making her patients feel unique and establishing a trusting relationship. When she is not working, she looks forward to family dinners. Her husband being a restaurant owner, they focus a lot of their family time around the kitchen table learning and preparing new recipes creating memories. To balance her food intake, she enjoys running and any outdoor activity such as skiing, swimming and riding bikes. Kelly was a stay-at-home mom for 10 years before stepping out of her comfort zone to pursue a career in Dental Assisting. She took an accelerated class at the end of 2007 and was hired as an assistant during her internship in 2008. She has been an assistant in the same office now for eight years and loves what she does for her patients each and every day. When Kelly isn't at the office assisting in making people smile, she is spending time at home or at the beach with her husband, sons and furry ones. 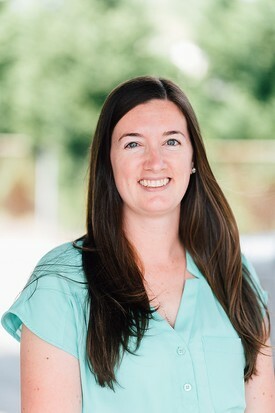 Meggin Knight grew up in Rome, Georgia, and attended the University of Georgia. She later attended Georgia Highlands college where she earned a Degree of Science in Dental Hygiene. In 2012 she married her high school sweet heart, just before he joined the U.S. Navy. Presently stationed at NAS Norfolk, she and her husband enjoy afternoon walks with their daughter, Elsie Marie ,and their two dogs. Meggin regularly attends drawing classes and spends her free time renovating their home in Lake Shores.